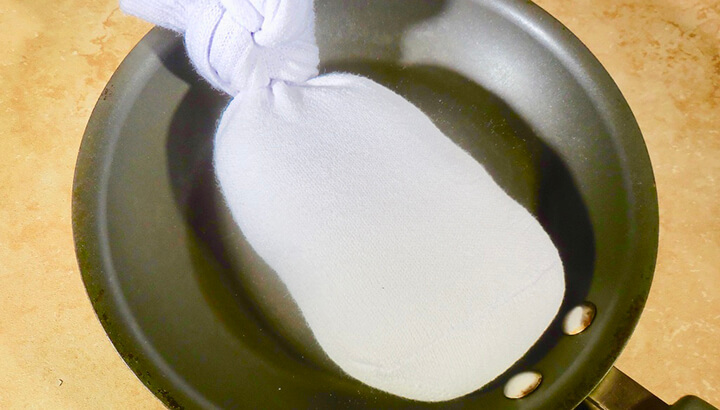 Using this salt sock remedy for ear infection pain has been around for a long time. This might sound like an old wives tale, but wait until you give it a try. 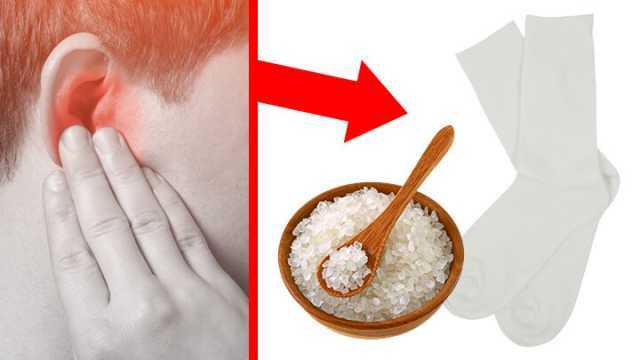 The warm salt helps draw out any fluid from the ear that could be causing pain. The warmth is also soothing when placed on the ear and along the jawbone. It only takes a few minutes for the pain to start subsiding. It’s also such an easy and cost effective remedy to have on hand. Of course if there is an infection going on in the ear, that will have to be dealt with, but hopefully this will still provide you some much-needed relief. 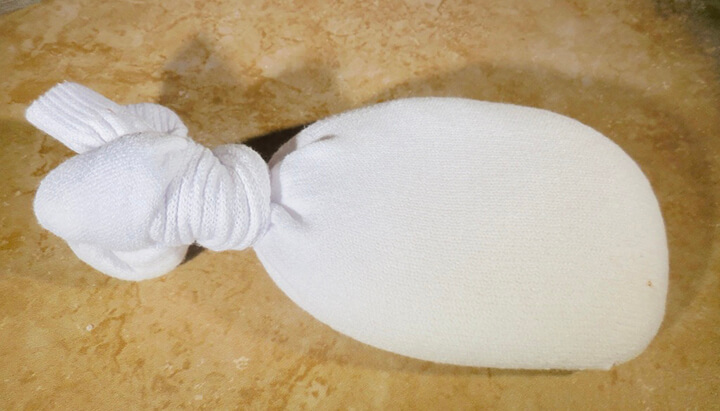 Go ahead and give this salt sock remedy a try! 1. Gather the sock and the sea salt. 2. 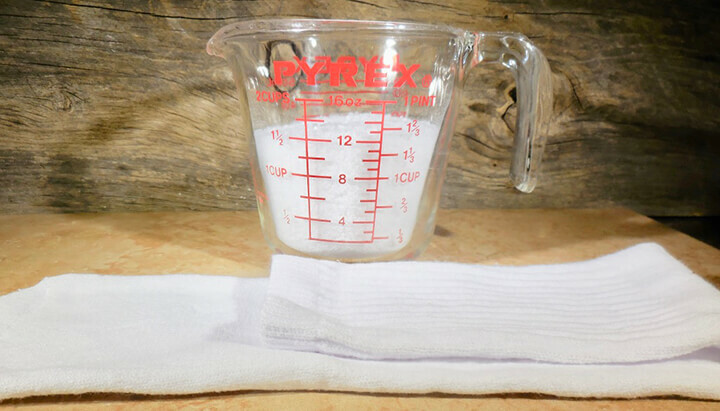 Measure the 1 1/2 cups of sea salt into a measuring sup. 3. Pour salt into the toe of the sock. 4. Tie a double knot on the top of the sock. 5. Heat the sock in a clean skillet over medium heat for 4 to 6 minutes. Pick it up, shake it and flip it over every few minutes to heat evenly. Heat until very warm. Make sure to check how hot it is on your own skin — especially before using it on a child. You don’t want it to burn but it needs to be warm enough to get relief from the pain. 6. Place the sock over your ear and behind your jaw bone. Leave for a few minutes until the pain is gone. The sock can be reused but may become discolored over time. Just replace with new sock and salt, then repeat. Remember: Do not use a microwave to heat the sock because it could burn. There you have it! 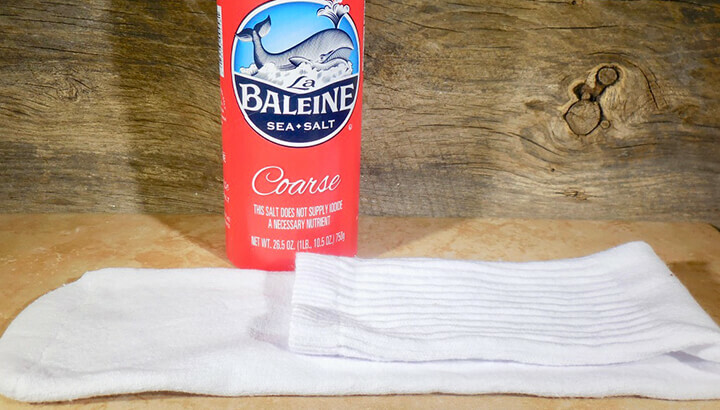 Let us know how the salt sock remedy worked for you.